Model Cars Magazine was started way back in October, 1999. We are the only magazine printed in the US that is published by and for the model car hobbyist. We love model cars! We are not a big company, with dozens of magazines in-house. We publish Model Cars, and that’s it! We love model cars. We build model cars. We collect model cars. Need we say more? Enjoy the web site, let us know what you think. We are now up to Issue #203, and yes, he’s still late. 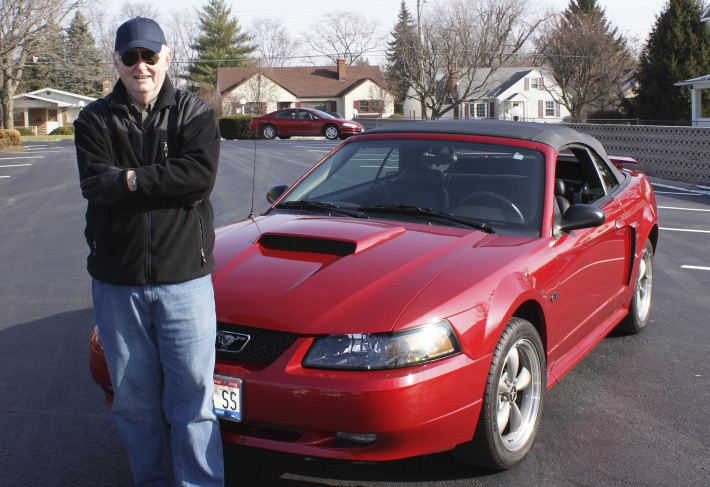 After seven back surgeries, you think he would be done with all this medical stuff (Gregg is the editor/publisher of Model Cars, and he has shared his life story with every one of the readers of Model Cars over the years). Golden Bell Press printed/published Model Cars since the beginning, and as of December 2015, they have shut down, opting for early retirement for the Bell’s of Denver, Colorado. As such, we had to get ourselves a new printer, financing, and of course, that pesky back issue, but we are getting everything in order, bit-by-bit. Wayne was born in a small Ohio town in 1941 and began building model airplanes as soon as he was allowed to hold a single-edge razor blade: X-Acto knives hadn’t been invented yet! With the advent of plastic model kits he branched out into car and ship models as well. 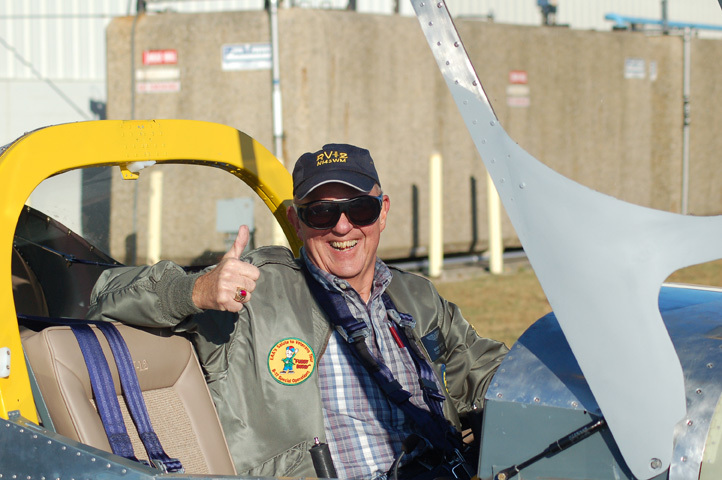 After graduating from the University of Cincinnati as an AeroSpace Engineer in 1964, Wayne began a 37-year career as a Conceptual Design Engineer at Wright-Patterson AFB and participated in the preliminary design of most current USAF systems, retiring after serving as Lead Engineer for the ATF (now F-22) Conceptual Design/Evaluation Phase. Wayne wrote his first model story (on Ford GT’s, a continuing interest) in the Fall of 1972 and became a reviewer by accident; John Day liked a story he wrote about Day’s second 1/43 scale kit and sent him a box of kits with the request “do it again, please”. Since then he’s written somewhere around 2000 stories (“1778 that I’ve been paid for at this point and 200-300 more for club publications or magazines that went out of business owing me money”) for at least 43 different model, aviation, automobile, and racing magazines. From 1983 to 1994 he was a weekend photojournalist covering NASCAR, Indy car, IMSA, SVRA, and SCCA races and provided photo documentation to several 1/43 scale model manufacturers. A private pilot since 1969, Wayne’s biggest kit project to date has been building a Van’s RV-12 two seat airplane, making its first flight in September 2010. Wayne and his wife Kay have four daughters and eight grandchildren, none of whom share his interest in model building. 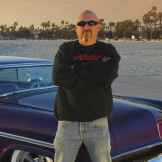 He is passionate about his collection of automotive magazines of the 1960s, vintage Revell kits and his Aurora T-Jet slot cars and accessories. He sees a car, or even an engine or chassis, as a painting needing a frame. And his dioramas are those frames. A former professional model builder, he resides in Colorado and enjoys both camping and model building with his son and wife. The first model I built (or rebuilt) was a partially assembled Monogram Black Widow that I found at the bottom of a large wooden toy box that my Great Grandmother kept. That was 1966. Since then I have built nothing but cars. Race cars, hot rods, and custom creations are what I like most. I always strive to produce something unique and entertaining. I live in Southern California with my wife Nani and our two sons Kyle and Justin. I also have a son, Sean, who lives in Spain. I have built models with all of them. The pleasure of teaching family members to build a model is very close the same fulfillment I get when producing a How-To article explaining how to construct a part of some sort. I have enjoyed building models and being part of the modeling community for over 45 years. I’ve had a fascination, no obsession for all things Peterbilt since my family bought me an AMT Peterbilt California Hauler model kit for Christmas in 1970. I’ve had the pleasure of visiting the old Peterbilt headquarters in Newark, California. in 1975, the former Madison, Tennessee plant in ’76 and the Denton plant in ’05 and am honored to be part of the Denton open house each year with a large display of my models inside the factory.